Research: San Francisco and Seattle are most frequent cities for Amazon package theft by 'porch pirates' and offer strongest potential to install front doorbell camera systems. Detection or possible prevention of front door package theft is just one reason doorbell camera solutions have become popular installations for integrators. 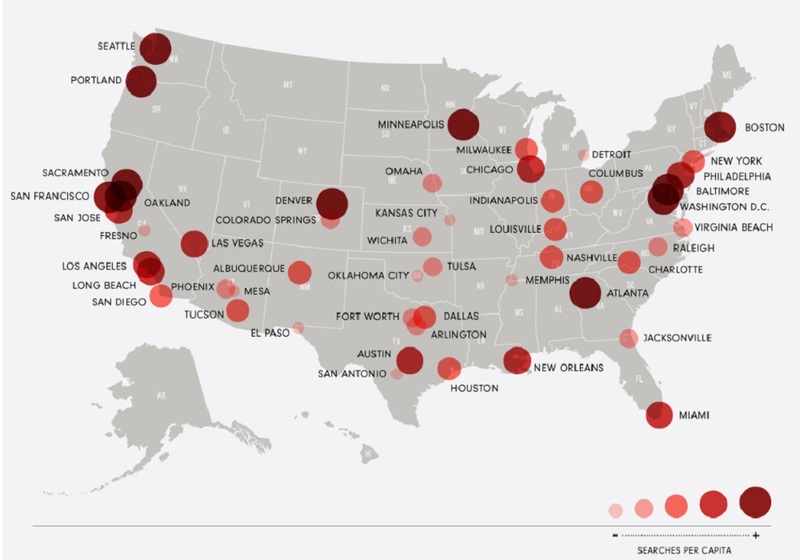 These cities have the most frequent front-door theft rates per capita. The need for your clients to have a front doorbell camera is never greater than during the holiday season, when “porch pirates” are on the prowl to snag Amazon packages. Indeed, the front doorbell camera has quickly become one of the fastest selling smart home security devices ever. While much of the consumer market is DIY, integrators are installing Amazon Ring, Nest Hello, Assa Abloy's August Doorbell Cam, Remo+, DoorBird, Elan Intelligent Video Doorbell, Savant, Control4 Intercom Anywhere, Skybell, Channel Vision, Holovision and others for their clients. But which cities are most susceptible to front door package theft? Shorr Packging Corp., an Aurora, Ill.-based provider of packaging solutions that has been in business since 1922, recently undertook a study by analyzing the per capita frequency of the Google search for “Amazon package stolen” by city. The company is making the link between the online search and a theft incident. Of course, some of these Google searches could simply be curious individuals or people conducing online queries on behalf of others who may not live in the same locality. 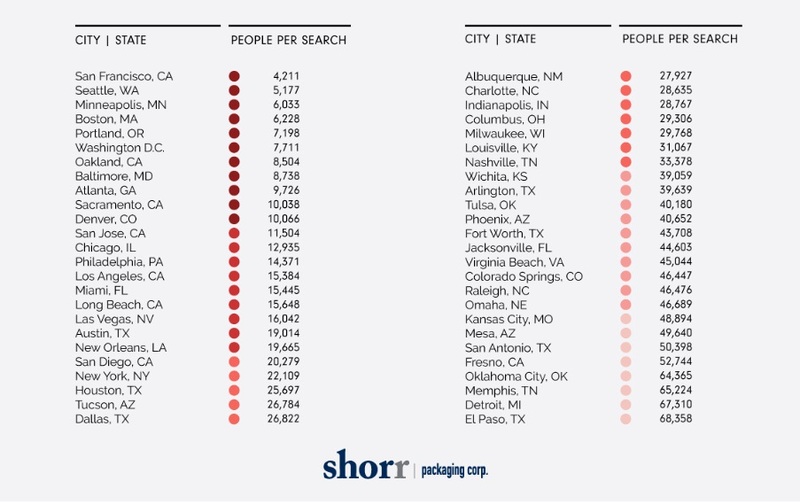 Shorr took its 'porch pirate' research one step further by taking its analysis of Google searches and population and checking it against the FBI’s national crime statistics, and in particular, city-based larceny-theft rates in each of the 50 cities it studied. “We found many cities with high larceny-theft rates also showed high search prevalence for ‘Amazon package stolen,’” says the company. In San Francisco, one in every 4,211 inhabitants has Google searched for “Amazon package stolen.” The commonality among many of these urban areas is residential density. Integrators can possibly use this data to upsell a doorbell camera on their next project. Here is the full list of cities for reference.